On Saturday night, our good friends Sadie and Henry came to hangout with Mark, Brooks, and I while their parents had a night to themselves. We watched movies, drank hot chocolate, and ate cookies. It was the perfect way to end our snowy Saturday. 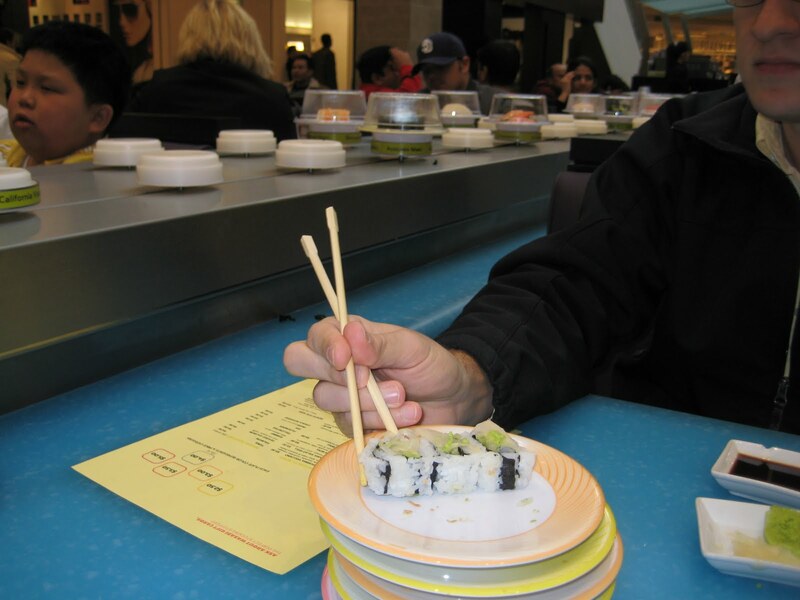 This weekend Mark and I also checked out a new sushi restaurant in our nearby mall. The restaurant, Wasbi, was located in the center of the hall (where kiosks usually are). 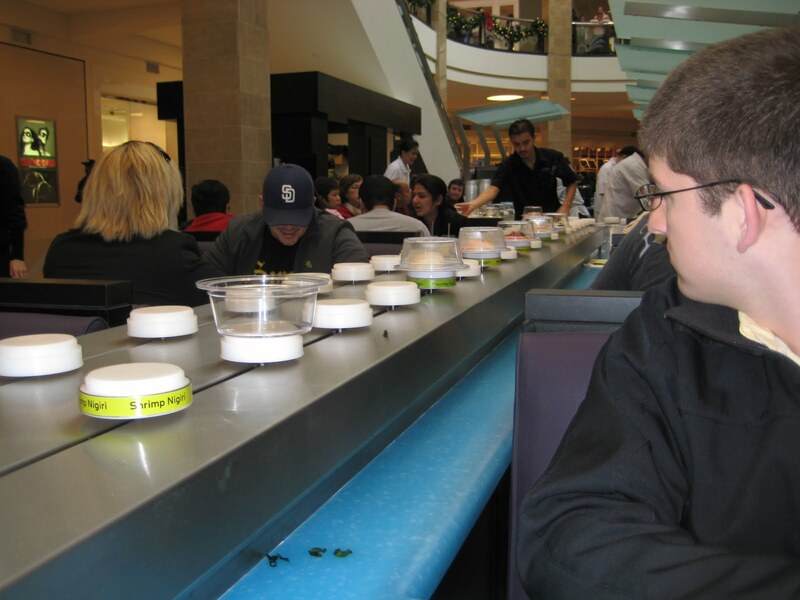 When you sat down at your table or booth, your food came by on a conveyor belt and you just choose what you want. It was fun, but more of an adventure for the eye than the palate (the sushi chefs were teenagers). Thanks again for babysitting, Tara and Mark. They love hanging out with you guys!